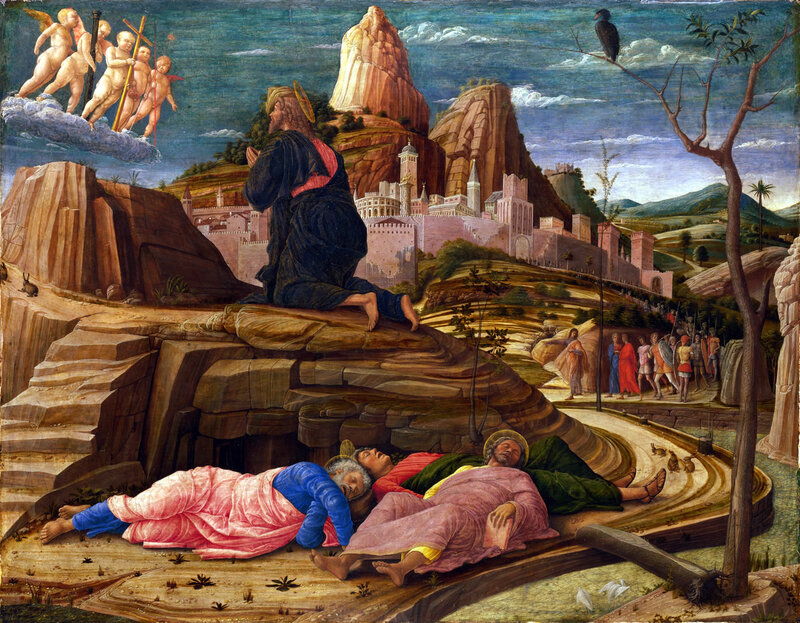 Mantegna was a student of classical art and it is reflected in this painting of The Agony in the Garden. This particular painting displays his particular fascination with stone and rocks painted in a very highly stylized manner. In the foreground we see Christ praying on the night before the day of his crucifixion. To heighten the imagery, Mantegna adds a vision of his Passion using angels that show Christ the instruments of his Passion: the column where he will be scourged, the cross where he will be nailed to, the sponge that will be dipped in vinegar, and the lance that will pierce his side. A vulture waiting for his dead carcass is on the upper right and hints that his death is approaching. Below him are the three apostles he took with him: Peter, James, and John – all fast asleep as the Gospels describe. As a backdrop, we see Jerusalem also stylized in a pinkish hue. Scholars like to describe Mantegna’s Jerusalem as having borrowed elements from Rome evidence by an equestrian on a pillar, and something that looks like the colosseum ; and maybe even from Venice because one of the buildings looks similar to the bell towers of St. Mark’s in Venice. Going out of the city gates is Judas who leads soldiers to arrest Jesus. One of the interesting things Mantegna does is to paint the stones where Christ is as if it were an altar. There are steps rising to a mound, and in front of Christ looks like something used for ritual sacrifice where animal slaughter is involved. There is something quite “theological” about this because it alludes that Christ offers himself as a willing victim – the Lamb of God being offered as sacrifice. In Leviticus 16, we read God’s instructions on how to perform the rituals on the Day of Atonement. A bull and goat are slaughtered and blood is sprinkled on the Ark of the Covenant where the presence of God resides, and also symbolically on the people. It is reminiscent of a covenant where two parties slaughter animals when they make a pact of relationship. Death by the separation of blood from the body of the animal is visceral imagery of what should happen to them if they do not fulfill their part of the covenant. God, in the same chapter, continues to instruct them to take another goat, which will be delivered to Azazel who is symbolically a devil. They “lay their hands on the goat’s head” and pour on it all their sins. It is then brought to the wilderness where it will die – and Israel’s sins together with it. This is the way the sins of God’s people are purged. When King Solomon finished the Temple in Jerusalem, the city became the central place of worship. 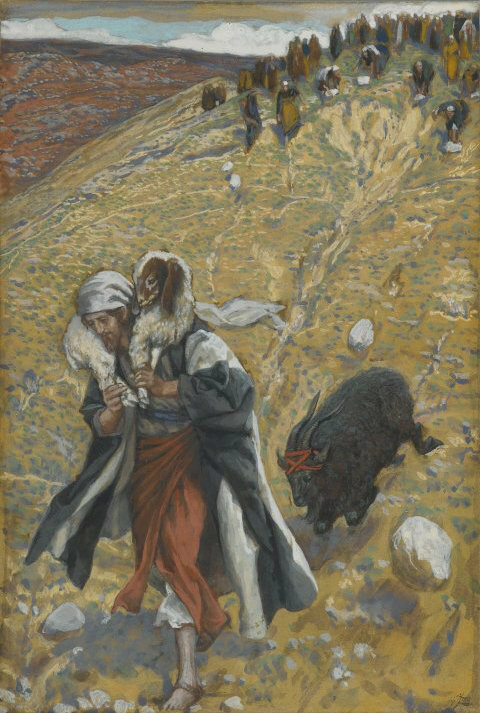 The sacrifice of the bull and goat was made in the Temple, while the second goat – the scapegoat – was brought outside the city gates into the wilderness. This is the scriptural background for Mantegna’s painting and we see Christ as the scapegoat who is “made into sin” (2 Corinthians 5:21, very fitting words for someone to be given to the devil) and eventually killed in Calvary that is outside the city gates of Jerusalem. In the last section of Leviticus 16, God instructs that this is an “everlasting statute” (Leviticus 16:34). In Scripture we always see one man mediating for mankind: Moses, Aaron, Joshua, the High Priest, etc. Catholics see Christ as the one man who mediates for all of mankind in the New Covenant. 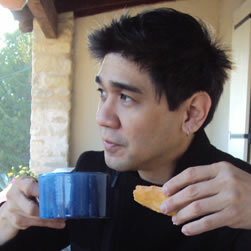 So when Christ says, “do this in remembrance of me” (1 Corinthians 11:24) during the Last Supper, this was how we are to perpetuate his one-time sacrifice for all time to fulfill God’s everlasting statute, for in every mass we are sacramentally placed face-to-face with the crucifixion in Calvary. Bishop Robert Barron says this “remembering”, through the celebration of the Eucharist, is the one command we have invariably obeyed throughout the ages. It should make sense then that Mantegna paints the start of Christ’s passion in front of an altar. Art scholars have also noticed the rabbits on the pathways, as well as white egrets on what looks like a river on the lower right. Since wildlife is largely symbolic in this style of painting, some take the rabbits to mean rebirth (the same way Easter eggs symbolize life; and rabbits, prolific life) for those who follow Christ’s path. The egrets are seen as stainless (white) after the bath of baptism – something we can apply to ourselves as the fruit of Christ’s sacrifice. Did you ever wonder how Mary is the Help of Christians or a Vessel of Honor? Mary's titles express how the Church presents her, but some are obscured by language and culture. 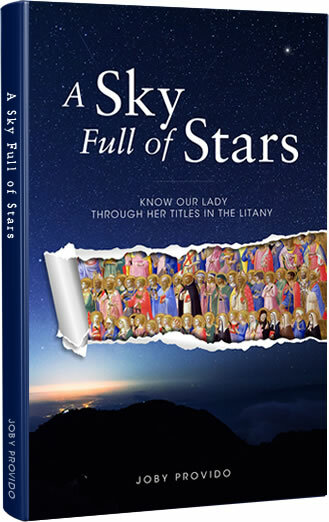 The book A Sky Full of Stars, explains all her titles in the litany so we get to meet Mary face to face. 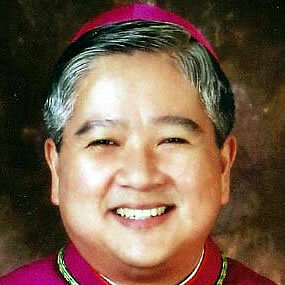 Bishop Socrates Villegas says, "A Sky Full of Stars must be an obligatory reference material for religion teachers and seminarians. It helps the reader to see the Virgin Mary within the perspective of sound biblical theology and solid Catholic tradition... [and is] also easy to understand."